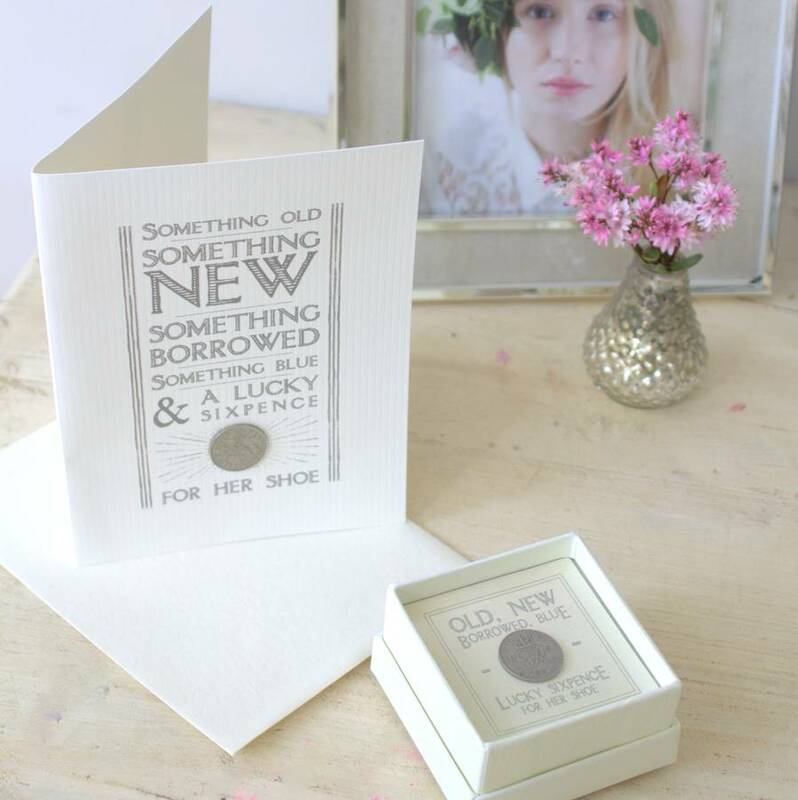 Something old, new , borrowed , blue and a lucky sixpence for her (left) shoe. 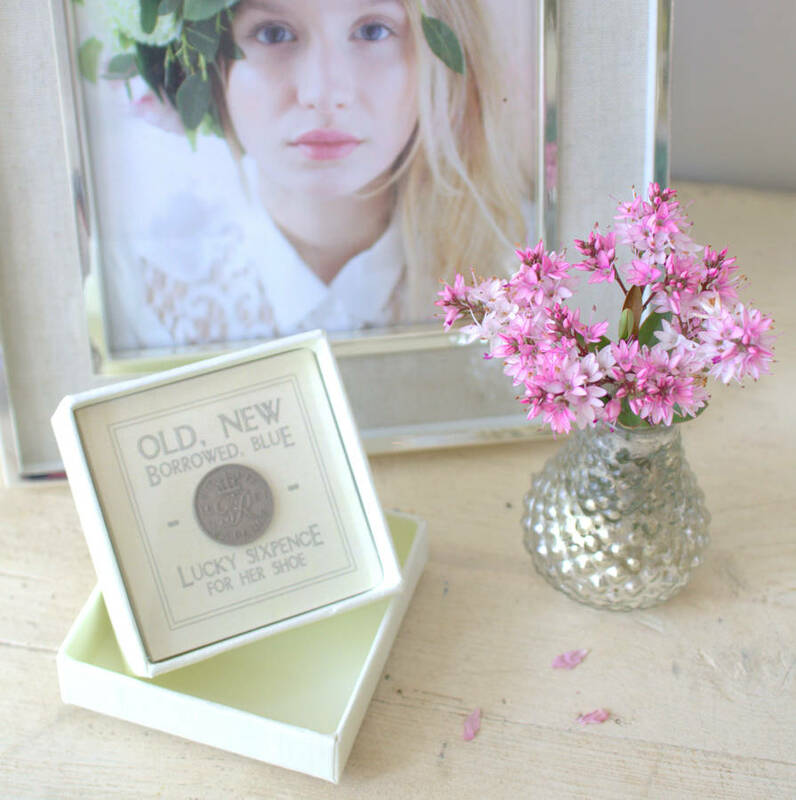 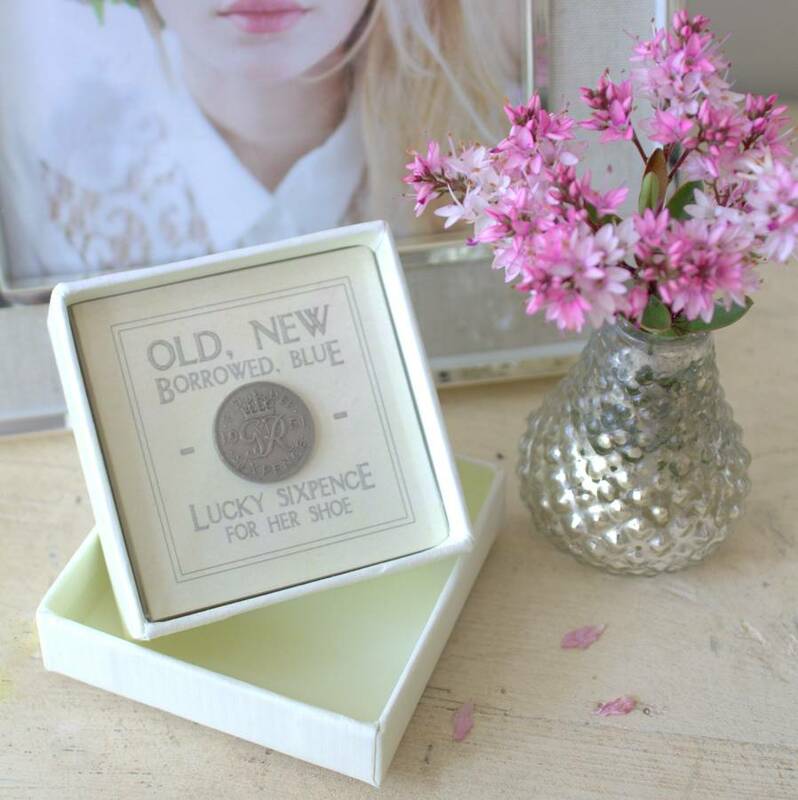 The cream gift box has a little plaque inscribed with the words ' Happy Ever After ' and with this sixpence she will be ! 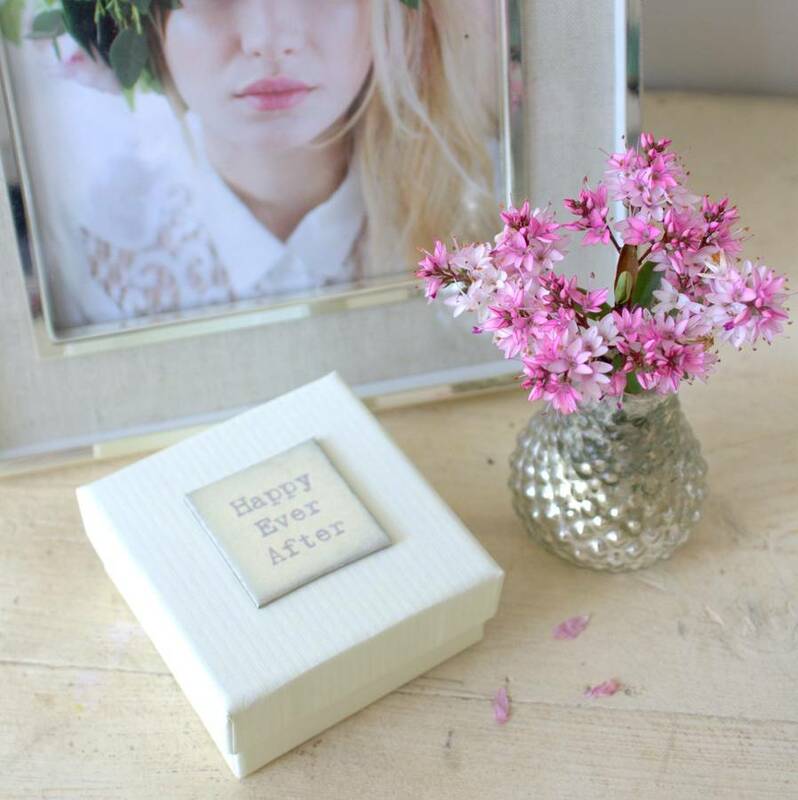 This cute gift is perfect for a friend who has just got engaged or one who is busy preparing her wedding .